It’s been fifteen years since Wheatus released their first and most known single ‘Teenage Dirtbag’ and they’re showing no signs of slowing down. Since then, they have released five studio albums and they’re currently working on their sixth, which is due to be released next year. They’ve been touring non-stop as part of their 15th Anniversary Tour, and the band’s lead singer and founding member, Brendan B. Brown, has also been busy working with members of One Direction, as well as Frank Hamilton and McBusted’s James Bourne. Having been so busy over the last couple of years, we figured that they would have a lot to say. We decided to speak to Brendan about their new album, Teenage Dirtbag and their tour just before they arrive in Ireland again. How is your tour going so far? It’s going really well. The Irish dates that we did a few weeks ago were fantastic. Limerick was a good show. That’s a beautiful little town, we had a good time there. In the past few years you’ve been touring Ireland quite a lot – why do you like touring Ireland so much? For a long time we hadn’t been there. We started going back mainly because we began to feel very welcome. The shows got very good and the crowds got very good. We just started going again and it just kicked off I guess. Maybe it’s something about being an older band now perhaps. Of course there’s always the return of our song ‘Teenage Dirtbag’, it just keeps coming back again and again. What is your setlist like? Is it primarily old or new songs? We don’t do a setlist. What we do is let the crowd tell us what to play. We’re including the entire first record for the first time so those ten songs are in every night. However, as far as the crowd requests go it’s mostly new stuff because there’s more of it. The fourth and fifth albums get more requested and album six as well which is The Valentine EP. Yeah, that’s what we wind up playing more of. Album two gets a nod here and there. Are you going to have support acts when you’re in Ireland? Yes, I think we have the best support acts that we’ve ever had. Mike Doughty is one of our supports and he was a huge influence on me with his original band Soul Coughing and now his solo career. He’s kind of a hero of mine. It’s like Oasis taking Richard Ashcroft out on the road. He was a huge influence on me for the first record lyrically, just the way that he puts words together, and the sounds of his records are a huge deal in the background of what Wheatus is. Mike Doughty is incredible. There’s also Gabrielle Sterbenz, one of our backing vocalists. I produced her first record and that’s finished now. Also our bass player’s band, The Ventura Project, will be out with us for a bit and our keyboard player’s [Mark Palmer] band, The Hipstones, will be out with us. It’s stuff that we really like, it’s stuff from within the family. The band recently got a new drummer, Leo Freire. How is he getting on in the band? He’s all caught up now. We threw a lot at him. He had to learn forty songs upfront because we pull from all six albums. He stepped up his game and had a lot of work to do and to his credit he did it. Also technically, he’s one of those guys who knows how to do double bass really well so I’m excited about that. As well as touring you’re also in the process of making a new album. How is that going? That’s right! Album seven is probably going to be out at the end of 2016. We’ve got about twenty songs on it. It’s very exciting. It’s probably the heaviest sounding out of everything we’ve done but in an easy listening way, if you know what I’m talking about. It sounds contradictory but it’s not. What has been your inspiration for this album? I’ve been writing a lot about the way the rich are treating the poor these days. We’re heading back towards the society that we had in the late 1800s and early 20th Century where there are some very powerful men who are untouchable and they do what they want. Our laws, our government and our justice system are breaking down. The poor people and the working people are back in a position where they’re being used as a resource again which is sort of the way it was in the lead up to World War II. I feel like we’re heading back towards something like that, regrettably. I’ve been thinking about that lately and that’s sort of been an inspiration for me. 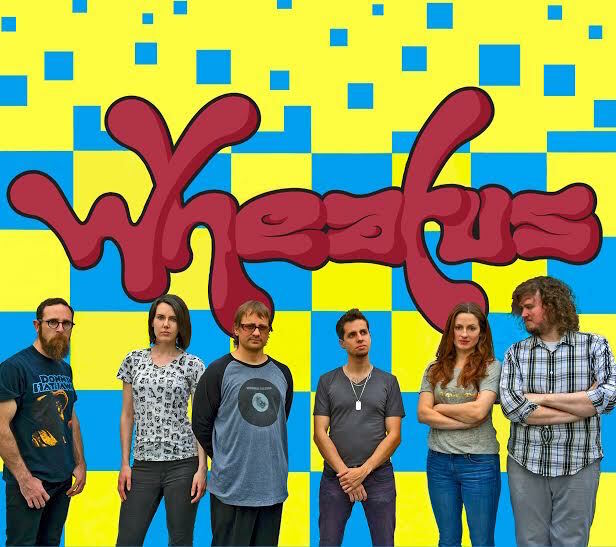 Wheatus will play Fusion in Drogheda on 26 September and Whelan’s in Dublin on 28 September as part of their 15th Anniversary Tour. For more details, you can visit their website www.wheatus.com.